We Are Great at Generating New Knowledge, but Bad at Implementation…Can We Do It Right In Graduate Medical Education? I loved this quote when I first read it in an excellent white paper entitled, “Implementing the 2009 Institute of Medicine recommendations on resident physician work hours, supervision, and safety”. It is a well-written review regarding many of the issues and challenges that lie ahead in graduate medical education (GME). Over the years I have heard many, including myself, express dismay at the ability of our profession to generate new ideas yet fail to see those practices turned into universal action across care sites–but never so simply put as Battles articulated. Having had the great pleasure of knowing Dr. Battles through the years, it didn’t surprise me that this eloquent quote came from him. Over the past decade, research and outcomes studies have shown us what we need to do to improve the safety and quality of care for our patients. Be it misaligned financial incentives, lack of internal resources, competing time constraints, or a lack of strong leadership that fails to make safety and quality top priorities, we continue to struggle with the implementation of proven best-practices at the bedside…things we know work. Work in interprofessional teams to enhance patient safety and improve patient care quality. Are integrated and actively participate in interdisciplinary clinical quality improvement and patient safety programs. Given that resident physicians comprise almost a quarter of all physicians who work in hospitals, and that taxpayers, through Medicare and Medicaid, fund graduate medical education, the public has a deep investment in physician training. Patients expect to receive safe, high-quality care in the nation’s teaching hospitals. Because it is their safety that is at issue, their voices should be central in policy decisions affecting patient safety. In September 2010 the ACGME issued new rules to go into effect on July 1, 2011. Unfortunately, they stop considerably short of the Institute of Medicine’s recommendations and those endorsed by this conference…it is clear that policymakers, hospital administrators, and residency program directors who wish to implement safer health care systems must go far beyond what the ACGME will require. The new ACGME requirements are clearly a big step in the right direction. However, I have been continually surprised through my recent travel and speaking engagements across the country at the number of residency program directors, designated institutional officers (DIO’s), quality/safety directors and C-suite leaders who are still unaware of the new ACGME requirements, or the new CLER (Clinical Learning Environment Review) program that now uses unannounced site visits to assess the GME learning environment of each sponsoring institution and its participating sites. Many residency program directors who have heard of the new programs cite lack of institutional support needed to address the new requirements–they know what they need to do but don’t have the support or resources to implement what they need to do. Here’s hoping Dr. Battle’s quote doesn’t also prove to be true in GME. When did someone last give you a tool that added more time in your day, or provided greater clarity or calm? What if you were told that to achieve this, all it would take would be a 10 minute investment each day? Would you believe it? If you have 10 minutes right now, you can decide for yourself by listening to Andy Puddicombe, whose TED Talk on mindfulness follows. I share his talk because in healthcare, we are constantly being told to do more with less. Incorporate one more initiative into an already busy day. See more patients in the same allotment of time. Hopping from one task to the next, we are rarely in the moment for very long if at all, and in order for health systems to become highly reliable, mindfulness has been identified as a necessary standard operating procedure. In this short talk, Puddicombe reminds us of the power in experiencing each moment exactly as it is–something we knew how to do innately as children, but have lost the ability to greater responsibilities over time. He refers to a recent Harvard study published in Science, A Wandering Mind Is an Unhappy Mind, by psychologists Matthew Killingsworth and Daniel Gilbert who used an iPhone app to track thoughts, feelings and actions of study participants. Results showed that participants spent almost half their time thinking about things they weren’t doing–missing out on life happening right in front of them, resulting in reports of greater unhappiness. The good news is that through mindfulness practice we can learn to regain command over consciousness and return to the present–experiencing the moment without judgement. It is this type of awareness — of ourselves and our surroundings — that will improve healthcare, as well as our experience while working within it. Graduate Medical Education: Value-Based Reimbursement Models Heading Our Way? As an educator, there are few things more rewarding than watching the transformation our new interns experience from the time they come into our programs on July 1st until the day they finally graduate residency a number of years later. It is like an abbreviated version of watching your children grow up…many enjoyable memories that make you smile, a few challenging bumps in the road that remind you they are still young, and like all of us no matter how old we are, still have more learning yet to experience. But at the completion of that journey we share with our residents, we feel good about what they have accomplished and send them off on their own. The purpose of graduate medical education (GME) in the United States is to do just that – to prepare medical school graduates for the independent and unsupervised practice of medicine. Over the last few years, there has been considerable debate on whether we have been meeting our GME mission. Many, including organizations like CMS and HRSA that help fund GME to the tune of around $9.1 billion a year, would not call it a debate but a fact that we have been failing. The competencies and skills necessary to provide safe, high quality care at good value are not ones found in most GME curricula of today. Healthcare continues to change dramatically and medical education has not kept pace. 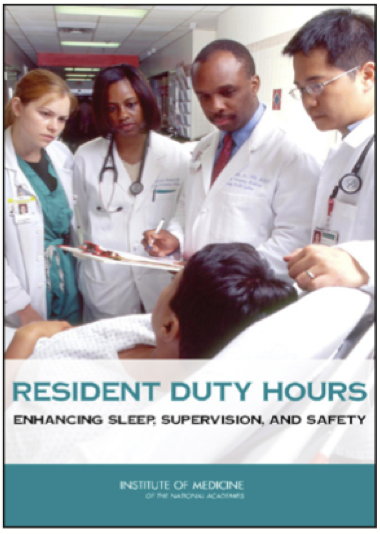 In December, 2008, the Institute of Medicine (IOM) issued a report titled “Resident Duty Hours: Enhancing Sleep, Supervision, and Safety”. In the report, the IOM asserted that revisions to medical resident workload and duty hours are necessary to better protect patients against fatigue-related errors, and to improve the learning environment for doctors in training. While the report made recommendations on duty hours, patient care handovers and patient case loads, a significant portion of the report focused on current GME patient safety related deficiencies. Aligned with David Leach’s writings, the IOM recommended the use of near misses and unsafe conditions as opportunities for both resident education and institutional patient care improvement purposes. To assure the provision of a safe and humanistic educational environment for our residents to learn and demonstrate professionalism and effacement of self-interest. On September 28, 2010, the ACGME Board of Directors approved new requirements for residency programs, including updated standards for resident duty hours, education, and supervision. ACGME’s press release at the time stated: “The standards are based on recommendations made by the IOM in 2008 and evidence collected during a 16-month review of the scientific literature on sleep issues, patient safety and resident training.” The new standards were implemented on July 1, 2011. All of us in healthcare are experiencing the escalating demands for transparency of outcomes, greater accountability, and quality based reimbursement models as they relate to patient care. Many say, “It’s about time,” because this newer value-based model has finally garnered the attention of hospital boards and C-Suites. If the model has successfully created urgency around the provision of safe, high quality patient care, don’t look now but that same model might be just around the corner for the provision of safe, high quality GME where academic medical centers will be paid on value with penalties for lapses in safety and quality education. A reimbursement model based on Value-Based Education and HCAHPS for graduate medical education…is it déjà vu all over again? David Leach MD, the former CEO of the Accreditation Council for Graduate Medical Education (ACGME), always had a knack for seeing things a little differently. His unique insight provided a new perspective on resident education, leadership, or just life in general. In one of his annual ACGME talks, he discussed how having the courage to pick up the phone and call anyone — even someone at such a high level that they might never take your call — could turn out unexpected and positive results. He shared how he had learned through the years that many people at high levels will take your call simply because they are as passionate about the very topic you are reaching out to them about. This seemingly small, but important, insight has helped me throughout my career, and as such, I have continued to follow his work. A number of years ago, I read a medical education book in which Dr. Leach had written a chapter on Professionalism. He covered what he felt was the most important role of the graduate resident physician – that of being the “moral agent” for their patients. He discussed how residents must be the gatekeepers for safe, high quality care – a sentinel on watch for the many unsafe conditions they might encounter while trying to provide optimal patient care, prepared to alert faculty and leadership to these unsafe conditions, and then work with their institutions to find solutions to remove risk from the patient experience. 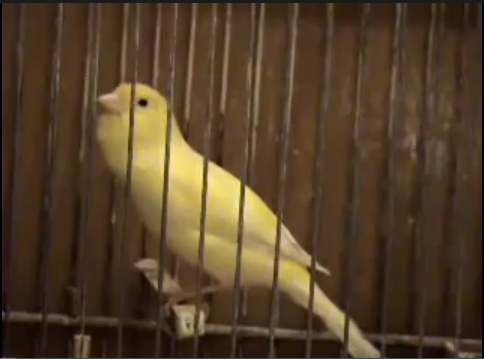 The analogy Dr. Leach used was the canary in the coal mine – taking on the role of guardian and protecting others from harm before it is too late. I loved this “moral agent” concept. It was so simple, yet so important in the quest for safer, higher quality, patient care. In academic medical centers, resident physicians spend more time in the hospital, have more direct contact with patients, and see many more unsafe conditions during days, evenings and weekends than most caregivers — except possibly nursing. As an extension of this “moral agent” concept, I was excited to see the new ACGME program requirements in response to the 2008 IOM report highlighting problems in graduate medical education associated with duty hours, supervision and patient safety. As a component of the new accreditation process, the ACGME has established the CLER (Clinical Learning Environment Review) program to assess the graduate medical education (GME) learning environment of each sponsoring institution and its participating sites. One key focus of the CLER program is the requirement that resident physicians now need to be submitting near miss and unsafe condition reports through their hospital’s occurrence reporting system – exactly what Dr. Leach was proposing many years ago when he brought forth the “moral agent” concept. The over-arching focus of CLER however will be the emphasis on the responsibility of the sponsoring institution for the quality and safety of the environment for learning and patient care, a key dimension of the 2011 ACGME Common Program Requirements. Note the emphasis and accountability is now on the sponsoring institution, as well as the residency program directors. The CLER program’s ultimate goal is to move from a major targeted focus on duty hours, to that of a broader focus on the GME learning environment and how it can deliver both high-quality physicians and the higher quality and safer patient care to the healthcare system as a whole. With CMS, HRSA and others investing close to $9 billion dollars annually in graduate medical education, the day has now come for greater accountability in graduate medical education around safety and quality. Imagine what would happen if academic medical centers were “reimbursed” for their graduate medical education the same way hospitals are now being reimbursed for patient care with penalties for lapses in safety and quality education, similar to readmission or infection rates. A reimbursement model based on Value-Based Education and HCAHPS for graduate medical education…where organizations like Consumer’s Union, Healthgrades and Leapfrog would publish annual “grades” for GME quality and safety programs across the country. That would surely raise the stakes, get institutional leadership’s attention, and change the graduate medical education landscape. Is that type of educational “transparency” heading our way in the not-too-distant future? As Nicholas Christakis and James Fowler have shared, most people wait until after someone in their own social network experiences a cardiovascular event to adopt prevention strategies (see ETY post, The Power of Social Networks to Change Health Behavior). Here’s a chance to be a leader within your own social network and potentially impact the health of your friends and family. Share the resources provided by Million HeartsTM with friends and family. Share what works here at ETY as well.